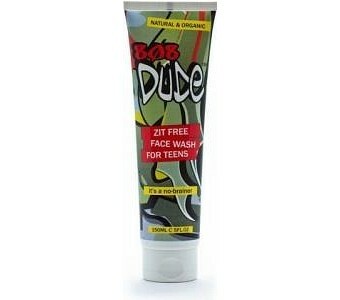 Get rid of those annoying zits with 808 Dude Organic Zit Free Face Wash for Teens. Made with organic ingredients guarana and ginseng botanicals, minerals, and antioxidants, this specially formulated face wash deep cleanses your face and clears up acne-prone skin. 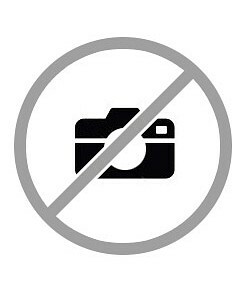 Made with certified organic ingredients 808 Dude Zit Free Face Wash for Teens is suitable to use on acne-prone skin, oily, and sensitive skin types Made with combination of witch hazel and chamomile extracts, coriander oil, rosemary, and patchouli essential oils to soothe and calm acne breakouts and prevent future outbreaks Anti-inflammatory qualities heals acne scars and dries up zits Ingredients: Aqua, Aloe Barbadensis (Aloe Vera) Extract Organic, Lauryl Glucoside, Decyl Glucoside, Cocamidopropyl Betaine, Sodium Cocoyl Glutamate, Certified Organic Glycerin and Aqua and Certified Organic Eleutherococcus Senticosus (Ginseng) and Parfum, Aqua and Glycerin and Paullinia Cupana Seed Extract (Guarana) and Citric Acid and Sodium Benzoate, Hamamelis Virginiana (Witch Hazel) Extract, Chamomilla Recutita (Chamomile) Extract, Citrus Aurantium Bergamia (Bergamot) Oil, Juniperus Virginiana (Cedarwood) Bark Oil, Pogostemon Cablin (Patchouli) Oil, Citrus Grandis (Grapefruit) Peel Oil, Lavandula Angustifolia (Lavender) Oil, Pelargonium Graveolens (Geranium) Oil, Melaleuca Alternifolia (Tea Tree) Leaf Oil, Helichrysum Italicum (Immortelle) Flower Oil, Coriandrum Sativum (Coriander) Oil, Glyceryl Caprylate, Potassium Sorbate, *Limonene, *Linalool, *Geraniol, *Citral, *Citronellol, *Benzyl Cinnamate, *Component of Essential Oil.